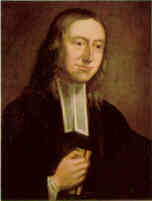 "John Wesley was raised by God to spread 'scriptural holiness' throughout England and beyond. Living at the time of the English Industrial Revolution, he saw the utter necessity of the Christian teaching being made available to the masses and made relevant to their daily lives." -- The People Called Methodists: The Heritage, Life and Mission of The Methodist Church in Singapore. Here you will find contemporary writings that relate to the work, theology and insights of John and Charles Wesley. For a list of other resources, click here.